Back in 2010, The East Anglian Daily Times published an article about the film and interviewed people who were there that day, such as Roger Deacon, manager of a local building firm, who remembers helping to lift the famous couple out of their balloon. 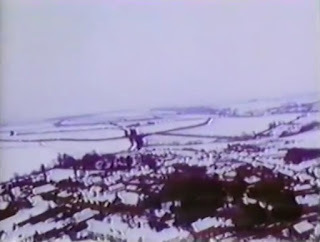 In his essay 'Walking on thin Ice: The Films of Yoko Ono', Daryl Chin compares Apotheosis to the contemporary work of Michael Snow (La Région Centrale, Snow's celebrated three-hour film of an uninhabited mountainous landscape, made with a robotic camera, was shot in September 1970). However, The East Anglian Daily Times was not impressed by Apotheosis. A recent New York Review of Books introduced me to the art of John Dunkley (1891 - 1947), a self-taught Jamaican painter whose landscapes remind me of Samuel Palmer's. 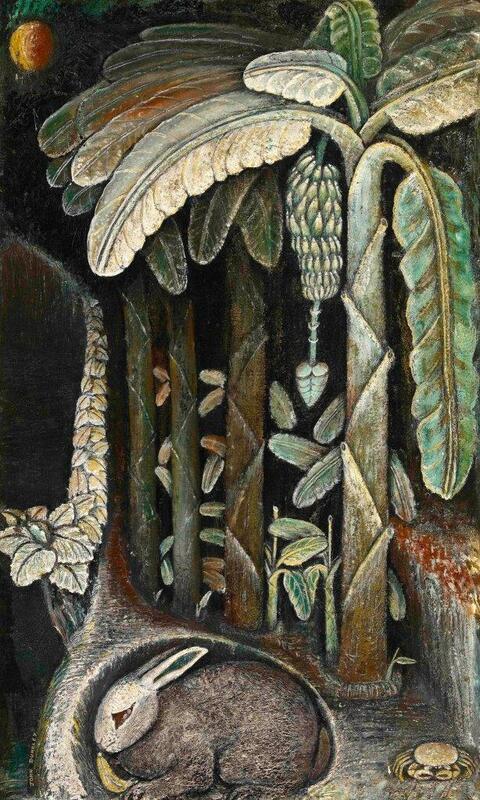 He was apparently familiar with Blake, Henri Rousseau, Surrealism and even Chinese painting, which was championed by the art historian in charge of the Institute of Jamaica, where Dunkley spent much of his time when he wasn't working as a barber. In the NYRB article, Sanford Schwartz notes the aptness of the recent exhibition's title, 'John Dunkley: Neither Day nor Night': darkness seems to be ever-present in these paintings. Here is how Schwartz describes Dunkley's landscapes. My favourite parts of Václav Cílek's To Breathe With Birds (2015) are those descriptions of sites in Bohemia that lead off into speculation on the meaning of landscape, and his references to Mitteleuropean culture that are unfamiliar to English readers. 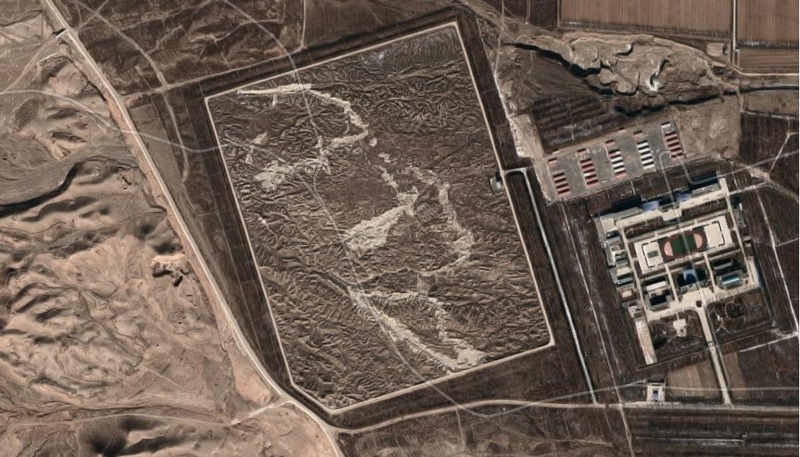 Just one example of the latter: 'the painter Václav Rabas used to say that it is important to find one's own square kilometer of landscape and try to understand it.' 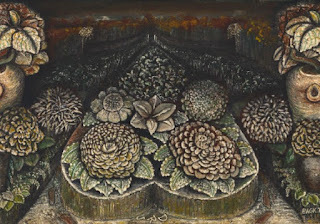 A footnote explains that Rabas (1885-1954) was a landscape painter whose artistic focus for several decades was a small agricultural area near Krušovice, a village to the west of Prague.' 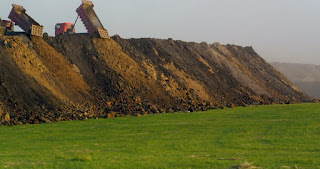 The book's twelfth essay, 'Places from the Other Side', is perhaps the best example of his writing on the landscape of the Czech Republic, focusing on sites in the Sudetenland - former kaolin mines, depopulated villages, a musical city where 'trout jump joyfully' above the rivers in summertime... There are references to Kafka, Borges and Adalbert Stifter but Cilek's focus is on what he experiences. At a spot where Goethe once picked up phenocrysts of feldspar, Cilek is filled with gratitude by the simple sound of the river in the deepening night. This region's beautiful old towns - Loket, Úterý, Rabštejn, Slavonice - are fragments of a forgotten dream, like Calvino's Invisible Cities. The last essay in the book, 'Bees of the Invisible', sets out what Cilek has learned about landscape in his decades as an earth scientist and writer. I will briefly paraphrase his twelve 'rules' here, which 'shouldn't be taken too seriously, because the essence of a place and the essence of a person cannot be captured in a single schema'. the fracas of deafening explosions. on infinite smoke and fog. I am in a dark and desolate place. of the well of hell. 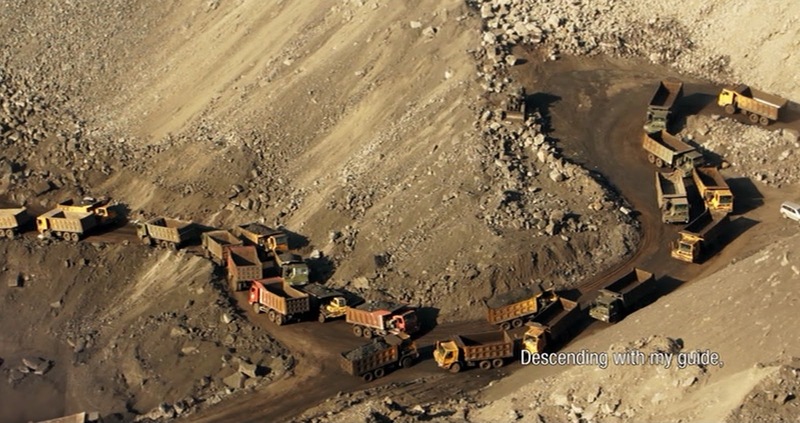 Zhao Liang’s documentary, Behemoth (2015), on environmental destruction and the blighting of lives in Inner Mongolia, is consciously modelled on Dante's The Divine Comedy. 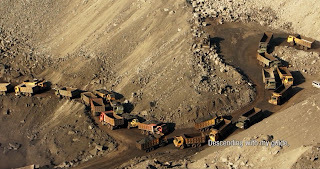 The black pits created by mining and the fiery furnace in which men toil, shaping lumps of metal, certainly resemble Hell. Later in the film we see the grey industrial Purgatory that has arisen where once the steppe was verdant grassland. Finally, in a brilliantly ironic touch, we reach Paradise: the ghost city of Ordos, built by developers with the materials that have caused so much suffering to extract, but empty of all life except a solitary street cleaner. Zhao, interviewed for the Walker Art Centre by someone with the appropriate name of Bosch, said he read The Divine Comedy whilst making the film. At several points we see a 'guide', walking ahead with a mirror on his back, reflecting the landscape. Footnote: the lines quoted at the start of this post I found on a movie script site. I could have used the slightly different English version in the subtitles for the film, but the translation seems less good. The Dulwich Picture Gallery have done it again with another superb show and catalogue: this time devoted to the Norwegian landscapes paintings of Harald Sohlberg (1869-1935). When I featured him last year in my 'tweet of the day' sequence I chose 'Flower Meadow in the North', with its extraordinary carpet of flowers. Sohlberg was known for his very precise rendering of detail, against the prevailing impressionist fashion, but he didn't do this everywhere on his canvases, as can be seen here in the way the daisies become a blur of white in the middle ground. The catalogue includes his beautiful study of daisies in pen and pencil - it reminded me of the gentle precision of Laurie Clark's flower drawings. Looking at the full size painting as opposed to a reproduction, I was really struck by the way the flowers in the foreground seem to float loose from the canvass. Your eye is led from them to those dark bushes which, as the curators point out, resemble an assembly of figures. Then, beyond these, the silvery-white river and low sun. It all looks so fresh and modern and yet the frame and label don't look as if they have been cleaned for a century, reminding you of how much time has actually passed since Sohlberg sketched these flowers and view of a river, so as to combine them in his memorable composite image. 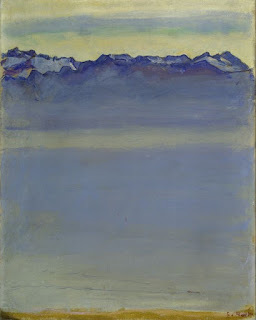 I could talk here about many of Sohlberg's paintings but will focus here on Winter Night in the Mountains, (1914) described by Øivind Storm Bjerke in his catalogue essay as 'arguably the most compelling symbolic expression of the sublime in Norwegian painting'. 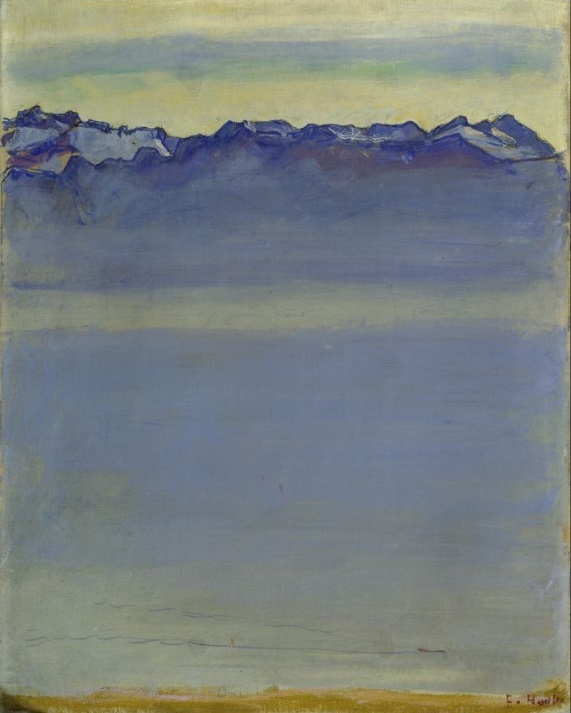 The exhibition also includes other versions and sketches dating back to 1899, when Sohlberg first visited the mountains on an arduous eight-day ski trekking holiday 'organsied as a kind of polar expedition'. Winter Night in the Mountains is initially most striking for its colours, although this could be said of almost all Sohlberg's paintings. The blue that dominates the upper half of the painting in 1901 is everywhere in the 1914 version. Øivind Storm Bjerke discusses the influence of colour symbolism in the nineteenth century, going back to Romanticism and the Blue Flower of Novalis and stretching to Edvard Munch, who had used a reduced palette in his recent paintings. Rondane and its mountains had already inspired nineteenth century writers, including Ibsen whose Hall of the Mountain King is beneath Rondslottet. Aasmund Olavson Vinje's poem 'At Rondane' (1864) was set to music by Edvard Grieg in 1880 - Sohlberg himself used to play Grieg's piano works and probably knew this piece. And there was Theodor Caspari's book, Norwegian Mountains (1898), with illustrations by contemporary artists. This included a poem urging the reader to ascend and gaze over the mountain valleys, but also to 'lower your sights' and experience the lichen and mosses growing on the rocks. This dual vision - far and near - is what Sohlberg achieved so perfectly in paintings like Flower Meadow in the North. "How delighted I will be to ramble for awhile through the bushes, woods, under trees, through grass, and around rocks. No one can love the country as much as I do. For surely woods, trees, and rocks produce the echo that man desires to hear"
(quoted in NPR programme notes on the Pastoral Symphony). 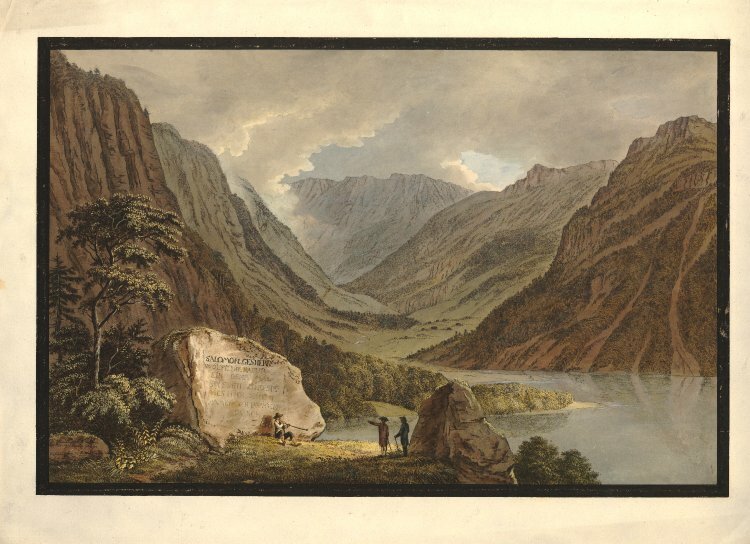 I have written here before about this 6th Symphony, although the theme of that earlier post was a much more obscure work that it resembled in form, Justin Heinrich Knecht's A Musical Portrait of Nature (1784). Here, I want to highlight an interesting project that is due to culminate in 2020, Beethoven's 250th anniversary. 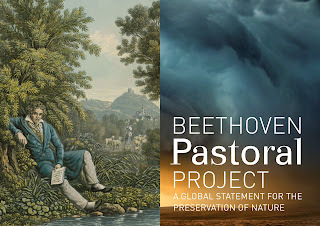 The Beethoven Pastoral Project 'invites artists from all over the world to form a network through their engagement with Beethoven's 'Pastoral’ Symphony', to 'take a stand against environmental degradation and to stand up for the UN's sustainable development goals and the Paris Agreement with a performance of 'their Pastoral''. These performances will be on June 5 2020. "Kuhreigen" – a cow waltz. This kind of melody is still played today on the alphorn in Switzerland to encourage cows to produce more milk. You could see this moment as simply a romanticized dream of Swiss milk and high-quality chocolate. But at the time when the Sixth Symphony was written, Switzerland was highly charged politically, and listeners at that time would have associated that with those sounds. Freedom struggles were taking place in Switzerland; just think of William Tell [I think he's referring here to Schiller's 1804 play]. I see this last movement as a hymn to humanity and the power of humans to change things. 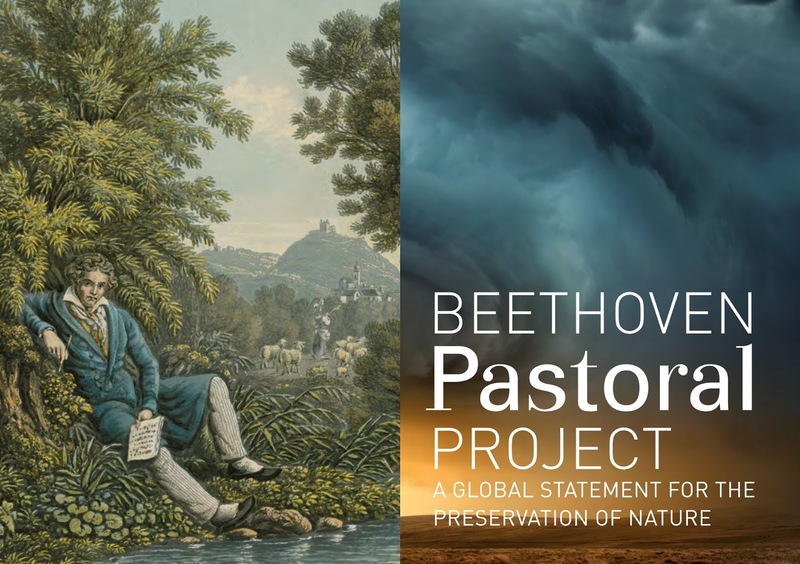 It's hard to tell how the Beethoven Pastoral Project is progressing and whether they have had as many big names as they would have liked signing up to it. I see that David Rothenberg (who I've mentioned here before) has become involved. There is not a lot of recent news online, though perhaps people are busy working on their compositions rather than unveiling things in advance. There are a few video clips on the project site, including one of Paul Barton playing Beethoven an upright piano to four elephants eating a pile of yams (performing classical music to rescued elephants in Thailand is what he does). It would be a pity if the reputation of Beethoven and the (over)familiarity of the Pastoral Symphony put people off making more musically interesting interpretations for the project. 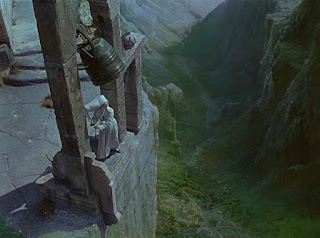 Although a large part of it was shot at Pinewood Studios, and at Leonardslee Gardens in Sussex, Black Narcissus is very much a landscape film. 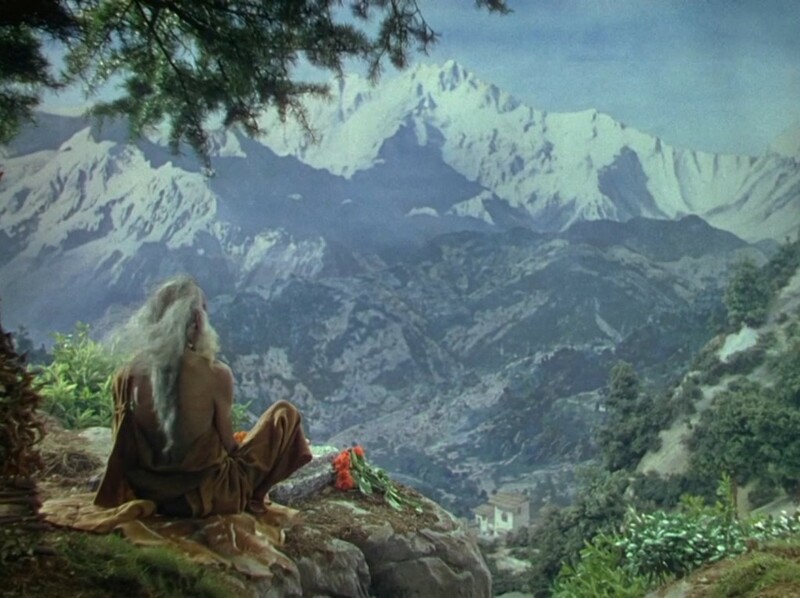 The Himalayan topography is a Technicolor dream – vibrant like the hidden fantasies of many of the characters. The dramatic shot of Sister Clodagh ringing the convent’s bell in desperation summarises the film perfectly. 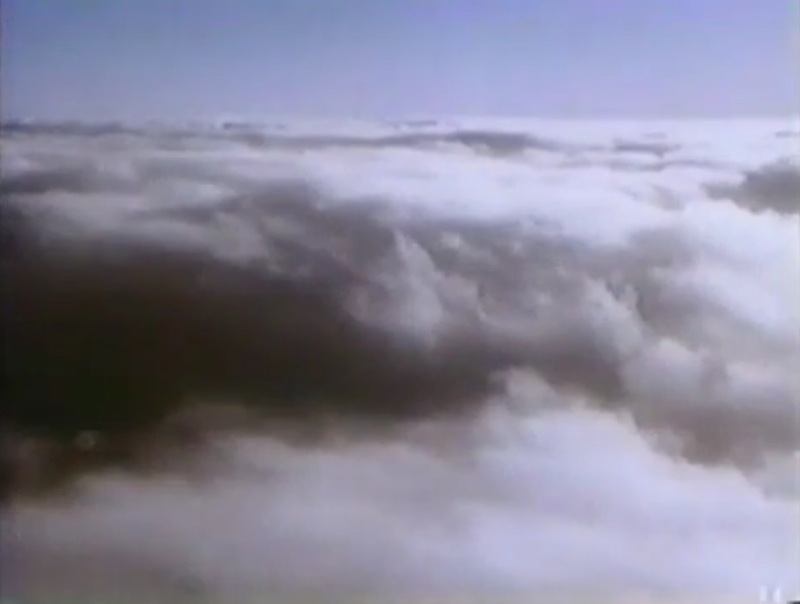 In the matte painting of the mountain chasm (by the brilliant Walter Percy Day, with assistance from his sons, Arthur and Thomas), the gulf looks as though it could descend infinitely. But it’s equally the precipice of Sister Clodagh’s inner world. The world of her past passions is an emotional chasm that the landscape around forces her to confront – alongside Mr Dean’s impossibly short shorts, of course. 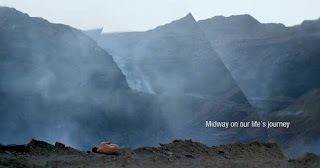 The camera emphasises this gulf, highlighting the fantastical nature of the landscape and the inner female experience. It’s incredibly fitting that this gulf eventually drags one character to their rocky doom. 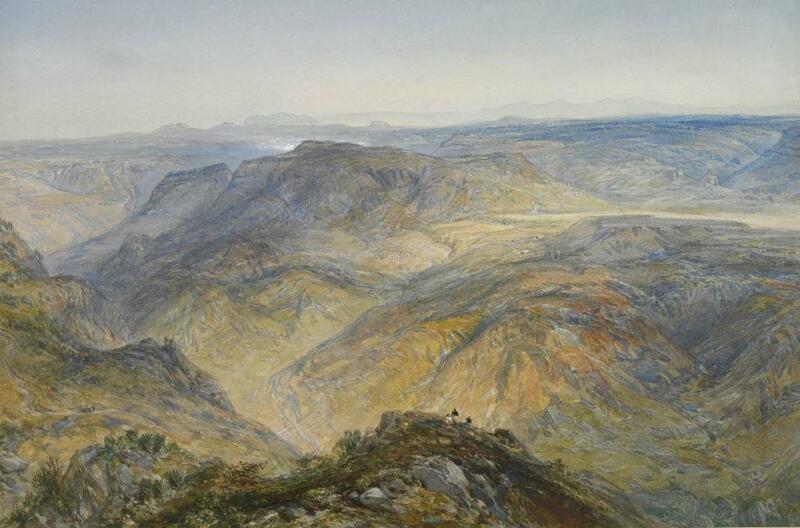 So who was Walter Percy Day, the painter of these mountain scenes? 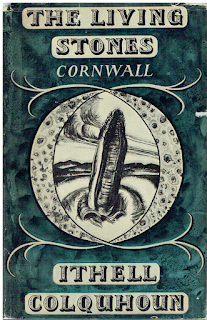 Born in 1878, he began his career as a conventional painter - you can see examples of his work on the Walter Percy Day website. He turned to cinema in the 1920s, developing his methods first in Britain, then in France (where he worked on Abel Gance's Napoléon), before returning here to make films with Alexander Korda and directors like David Lean, Laurence Olivier and Carol Reed. The history of matte painting is full of epic landscapes like the mountains of Black Narcissus: jungles and deserts, volcanic islands and alien planets. Moviegoers could be transported back in time with panoramic shots of ancient Egypt and medieval Europe, Victorian London or Imperial Rome. There are blogs devoted to the subject, such as Matte Shot and MovieMattepainting, and many examples there of paintings by the best-known artists like Albert Whitlock, Alan Maley and Jan Domela. These artists did not often receive publicity, although Emil Kosa Jr. won an academy award in 1964 for his work on Cleopatra. Kosa was also a member of the California Scene Painting movement - many matte artists had a parallel career selling their own work. It is said that the closer one approaches to the hidden, hollow-earth city, the more vague their writings become, because Shambhala cannot be described in mere words. In his esoteric book Shambhala the Resplendent, which he was writing along with his more scientific and much drier travel diary, Nicholas began charting another, parallel journey written in stories and riddles. As the expedition went deeper, he increasingly recorded strange manifestations, fires, lights and visions over their camp —though those were mostly left out of his scientifically-minded travel diary. His paintings also became more esoteric, increasingly depicting the messianic King of Shambhala. ... Communication was lost, and the Roerichs were considered dead. [Eventually, after a year, they reemerged in India, having been detained in Tibet where five expedition members died.] The closest they had gotten to Shambhala, according to Nicholas’ travel diaries, was in the Altai mountains, in the valley of Uimon, when an “Old Believer” proudly showed them the entrance to the subterranean kingdom, now barred with stones. Wild Geese Returning: Chinese Reversible Poems (2011) is an introduction to a form of poetry that can be read in different directions. Thanks to the way Chinese written characters take meaning from their position in a text, it is possible to write poetry that reads both forwards and backwards, whilst still retaining the formal the rhymes and syllable counts specific to poetic forms. As it says on the Calligrams site, reversible poetry's 'greatest practitioner, and the focus of this critical anthology, is Su Hui, a woman who, in the fourth century, embroidered a silk for her distant husband consisting of a grid of 840 characters. No one has ever fully explored all of its possibilities, but it is estimated that the poem—and the poems within the poem—may be read as many as twelve thousand ways.' Michèle Métail is a sinologist and poet who was also the first woman to be elected to the Oulipo back in 1975. She has studied this underground current in Chinese literature and translated examples by providing French versions (English, in Jody Gladding's recent translation) that go first one way and then another. Su Hui with her great palindrome poem, the Xuanji Tu. For this blog, I am particularly interested in landscape poems, and there are plenty of examples in Métail's book. Wang Rong (468-494), for example, wrote a short 'Reversible Poem Composed in the Imperial Garden' which begins with mountain peaks and ends with cicadas singing in the trees, and vice versa. 'In contemplating this landscape', Métail writes, we move from the distant to the close and from the close to the distant.' The imperial garden was the setting for a sequence of reversible quatrains composed in the next century by a gathering of poets in the circle of the emperor of the Liang dynasty, Xiao Gang (503-551). Xiao himself wrote of clouds over rocky peaks, water flowing through mountain slopes, a pond with swans and trees losing their leaves. Or, in reverse, leaves flying from the trees, swans gathered on a lake, mountains with veins of water and rock summits dividing the clouds. Some of the most famous Chinese poets wrote reversible poems. The writer I discussed here last week, Yang Wanli, is included in Wild Geese Returning, along with two other Song Dynasty writers I have mentioned on this blog: Wang Anshi and Su Shi. Wang Anshi (1021-86) wrote 'Thoughts of a Traveler', which begins with geese on a secluded island and ends with the twists and turns of a river, then, twisting back on itself, returns across the landscape to the wild geese at rest. Su Shi (or Su Dongpo, 1036-1101) wrote poems to be sung in which the second half is the mirror image of the first. In one of them, there are reminders of the way nature itself produces reversals, in a branch turned upside down, or with reflections in water. This poem begins with the image of a horse running after fragrances and ends with a light fragrance following a horse. Su Shi also wrote a sequence on the fours seasons in which each individual line is sung and then reversed. The theme of the seasons was also used by a more obscure Song Dynasty poet, Mei Chuang (dates unknown) and landscape imagery can be found within his other four extant reversible poems. In 'Two Poems Composed on West Lake for Amusement' the reverse reading renders the name West Lake into a description, 'west of the lake'. The same is true of Gushan, Solitary Mountain, and thus his poem provides new readings for Chinese place names. Earlier in the Song Dynasty, Qian Weizhi wrote a collection of ninety reversible and circular poems of which six have come down to us. 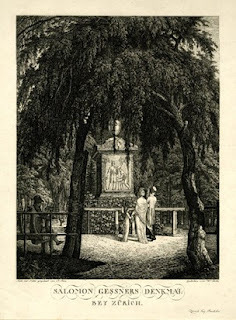 'Climbing the Pavilion of Great Compassion on a Spring Day' describes an ascent, or, read backwards, a descent. Circular poems are a separate genre that can be read from any point in one way or the other. Métail provides eight examples from the forty possibilities in one of Qian's poems. I will give two below (you have to think of 'kiosk' in its original sense as a garden pavilion). Distant and close, sky turns the kiosk blue. Cold penetrates the shelter in the misty evening. Evening mist pentrates the cold shades. Blue sky, near and sistant pavilion. The Song Dynasty poet Yang Wanli (1127–1206) currently has a mere three-line entry on Wikipedia and there is no anthology of his verse in translation currently in print. However, it is easy to pick up a copy of Heaven My Blanket, Earth My Pillow second-hand - something I've done, as you can see above. 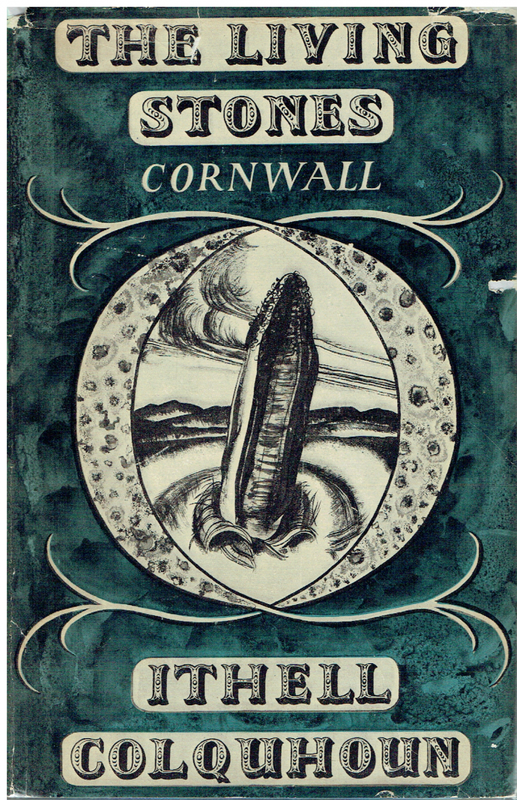 The book's title comes from a four-line poem which begins 'the pure wind makes me chant poems, / the bright moon urges me to drink.' There is quite a lot of drinking in these poems (the translations by Jonathan Chaves, published in 1975, perhaps indicate their age by the way he describes this as getting high). 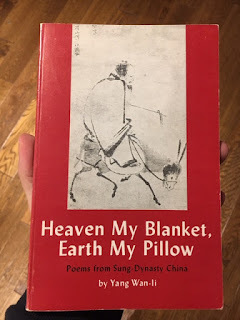 A love of poetry also comes through - for example in the lovely short poem 'Reading by the Window', in which Yang opens a book of Tang Dynasty poetry to find inside a peach blossom petal, still fresh, that had been caught inside the previous spring. 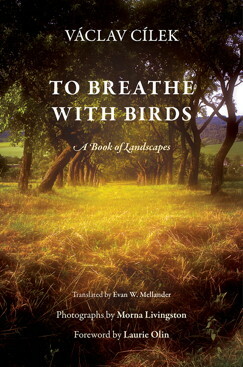 But nature is his main theme and there are examples in this book of what can unhesitatingly be described as 'landscape poems', recalling a view seen from a boat, a mountain temple or a moon viewing terrace. I sit watching the sun set over the lake. leaving no trace where it sinks into the water. In his introduction, Chaves highlights Yang's 'obsession with capturing the momentary changes in natural phenomena'. This is from a poem recording his impressions as he crossed between Zhedong and Yongfeng on a spring day in 1179.
the sky is calm, and there is no wind. Yang Wanli is the last poet in David Hinton's anthology, Mountain Home: The Wilderness Poets of Ancient China. 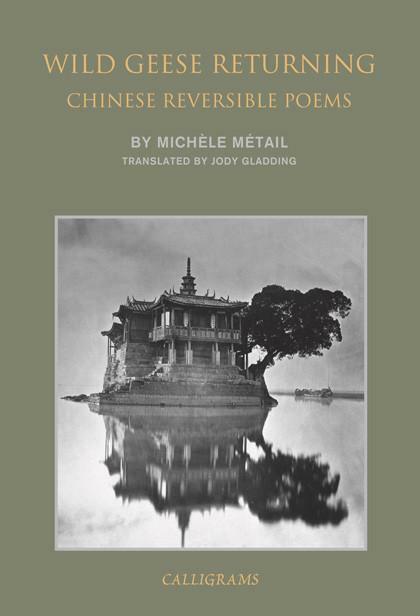 Hinton says that 'with him China's rivers-and-mountains poetry had opened up virtually all of its possibilities'. He highlights Yang's adherence to Ch'an Buddhism and the way it gave rise to a 'crystalline attention to things themselves ... The rivers-and-mountains realm was the natural terrain for this attentiveness, as its grandeur so easily calls one from the limitations of self to the expansiveness of a mirror-like empty mind that contains all things.' Here, to conclude, are four lines from Hinton's translation of a poem Yang wrote after a hike to Universal-Completion Monastery. cloud mountains appear and disappear among the willows. And the beauty of climbing a mountain while adrift on a lake? It's this lake's mind - that gaze holding the mountain utterly. I was very tempted this week to go to Cafe Oto for Brunhild Ferrari in conversation with David Grubbs, but it was on 14 February and I didn't think this proposal would go down very well. I did though enjoy reading her 'Epiphany' at the back of February's Wire Magazine, which recalls how she met and started making music with Luc Ferrari (1929-2005). 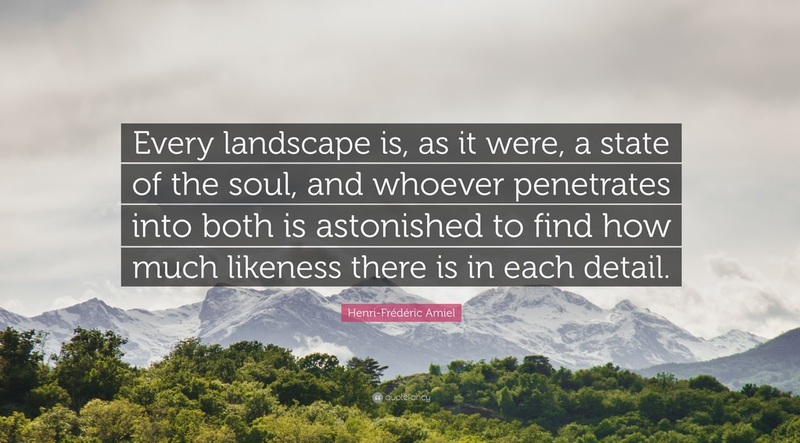 Apparently they bonded over a love of rocks - she loved painting them, he was fascinated by the geology of Corsica, where his father came from. 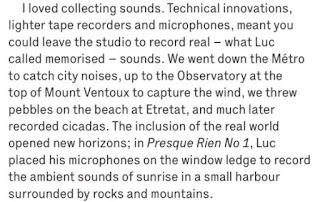 In the paragraph below she describes their experiments in field recording and mentions two famous landscapes that I have featured here before (in connection with Petrarch and Monet). 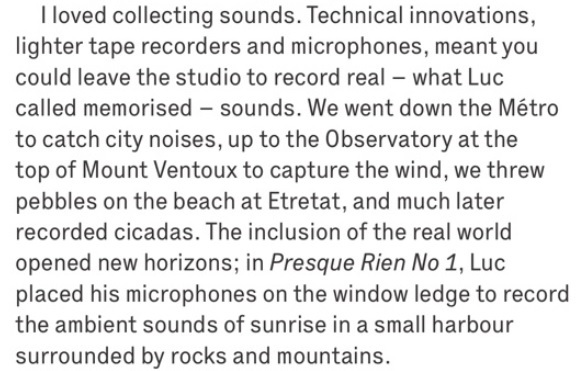 I have embedded above a clip of the composition she mentions, Presque Rien No. 1 (1967-70). A couple of years ago Ferrari's four 'Presque Rien' ('Almost Nothing') compositions were reissued by Editions Mego. Here, from a review by John Kealy, is a description of the fourth. Presque Rien No. 4: La Remontée du Village (Almost Nothing No. 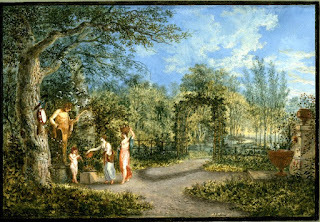 4: The Ascent to the Village) seemingly returns to bare elegance of the original work. This is the sound of Ferrari and his wife Brunhild ascending the hill to the Italian town of Ventimiglia and it is remarkably similar to the moods and feelings of the first piece. 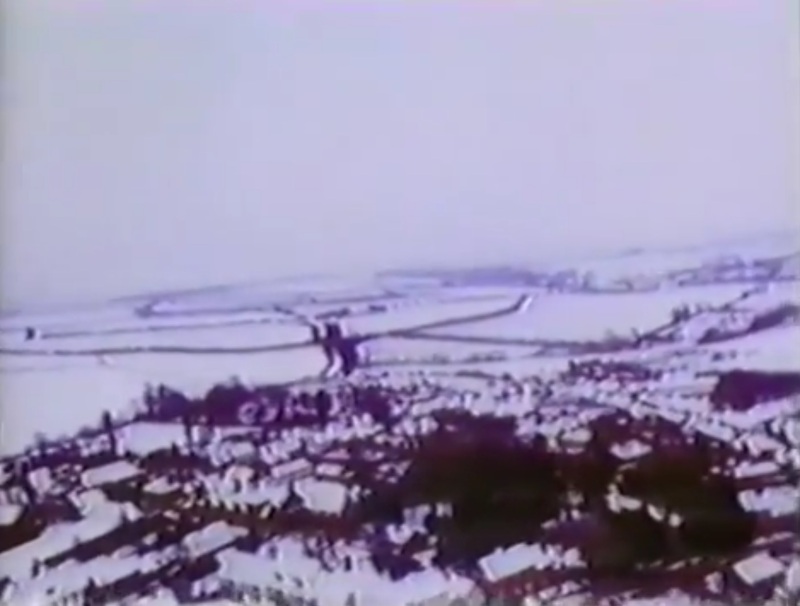 However, the sleepy isolation of the 1960s countryside has been lost as sounds from nearby televisions and passing scooters permeate the air around Ferrari’s microphones. Gradually, evidence of Ferrari’s tinkering becomes more and more noticeable as he slowly blends the sounds as they were recorded into something more akin to musique concrète. The climax of this is the powerful intrusion of a cow, preposterously embellished by Ferrari to sound super-real. Another landscape-related piece reissued by Editions Mego was Petite symphonie intuitive pour un paysage de printemps (1973–1974). Ferrari's notes explain that this too was based on a walk with his wife. Watercolour World is a new online database of documentary watercolours painted before 1900 which launched at the end of January. You can use filters and search by a keyword, e.g. 'waterfall', which brings up waterfalls in South Australia, Japan, Italy, French Polynesia and so on. Enter 'Cozens' and you get a selection of watercolours by Cozens (although the first one is a Turner painting 'after J. R. Cozens'). But perhaps the main attraction is a map which you can zoom around and look for specific landmarks or places. The distribution of watercolours on the map shows that this is a British initiative - there are over 25,000 watercolours for the British Isles but only around 50 for Japan (and those Japanese images are by late nineteenth century British illustrators). They do have global ambitions, but the emphasis on 'documentary' images means that there is bound to be a bias towards cultures which valued topographic accuracy (either as art or as part of some branch of science). Why watercolours and not, say, oil sketches? Well non-watercolours are allowed in - they include aquatints and pencil sketches, for example, 'at our discretion'. Perhaps surprisingly, they are happy to have images where the location is unknown, tagging these to the home of the artist. How do they choose the images? 'We try to select images that have a clear connection to a real person, place or event, that the artist could plausibly have known first-hand. A painting of a battle that happened years before the artist was born would not be included, but an artist's satirical painting of Londoners in a pub would stay.' As this last comment indicates, the website goes beyond landscape and covers all kinds of subject matter. I am not sure how they would feel about, artists who were moving away from simple representation, a Cézanne watercolour of Mont Sainte-Victoire, for example. 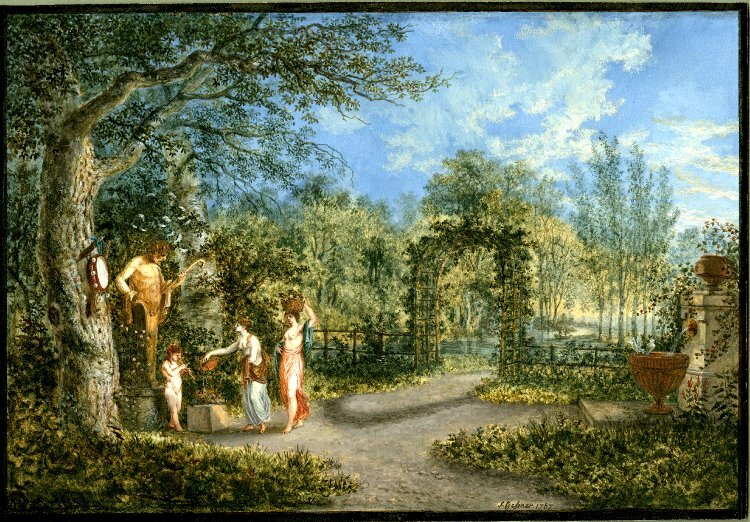 There are none of these in the database; the only image from this part of Provence is a view of Aix-en-Provence by William Callow dating from 1836. I thought I would check out a a part of the world I don't recall featuring before here - Ethiopia. In addition to a few archaeological drawings, I came upon the view above. It shows 'a vast stretch of bare tableland with winding gullies, and three figures in the foreground on the spur of a hill'. There is no further context - the website refers you to the British Museum for more information. In fact William Simpson had gone to Abyssinia as an illustrator for the London Evening News, covering the British Army's punitive campaign against the Ethiopian Emporer, who had captured British hostages. Simpson arrived at Magdala after the fighting was over - those tiny figures are therefore looking out over a landscape that had recently seen a siege and bombardment. Before leaving Magdala, the troops were permitted to loot it and some of the artifacts they took found their way eventually into London museums like the British Museum. An Association For the Return Of the Magdala Ethiopian Treasures was formed in 1999 to lobby for their return to Ethiopia. The rest of this poem, and almost everything else Propertius wrote, is about love and his life in the city of Rome. 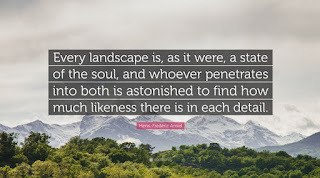 However, you can find more landscape in his poetry, in this description of his origins. the wall to which your genius has brought fame. ed ello è bello et iucundo et robustoso et forte.